Dr. Joel W. Grossman received his Ph.D. as a Fulbright/Special Career Fellow in Peruvian and North American archaeology from the University of California, Berkeley. He received his training in North and South American archaeology in California and the American Southwest, with a specialty in high altitude Andean archaeology. His scientific accomplishments include the planning and direction of major prehistoric and historic projects and expeditions throughout North America, the Andes of Peru, the Brazilian Amazon and Puerto Rico. He also consulted on the transfer of technology in archaeology to colleagues in Russia, Hungary and Peru. In Peru, after co-directing a joint US-Peruvian expedition to locate and document a rare pre-Inca mummy bundle in the south-central Andes, he excavated a 3,500 year sequence of buried Pre-Inca ceramic cultures at a hilltop site called Waywaka in Andahuaylas, Apurimac, Peru. This layer cake of Pre-Inca settlements revealed early pottery making, early gold working, and a gold worker's tool kit, dating to the 17th century BC (Grossman1972a & b; 1983; 2013a). In addition to his work in the south-central Andean highlands, he was invited by the government of Peru to spearhead a UNESCO program to conduct field tests at key Pre-Inca and Inca sites (1982a). The goal of this international initiative was to train Peruvian archaeologists and to assess the viability of different geophysical remote sensing technologies (conductivity, magnetics and ground penetrating radar) for the identification and definition of buried pre-historic and historic remains in diverse archaeological environments throughout the coast and highlands of Peru. Dr. Grossman is internationally recognized as a pioneer in the planning and implementation of advanced applied technology solutions to expedite archaeological and environmental projects in logistically challenging and hazardous conditions, generally during deep winter months (Grossman 1980a, 2003, 2008a, 2008b). In this capacity, he has spent over four decades directing large-scale emergency rescue excavations of unexpected discoveries in the path of critical infrastructure programs throughout the United States and the Caribbean (Grossman 1980a, 1991, 2004). His early work in North America was noted for the 1978 deployment of Ground Penetrating Radar (GPR), concurrent on-site computerized conservation laboratories, stereo-overhead photogrammetry for non-contact recording, and the first generation computer transits (1980a). These systems were initially deployed to develop a 3D color-coded underground radar map of a buried pre-Revolutionary port settlement in New Brunswick, New Jersey, through three feet of laminated rock (shale) fill and flood silts (Grossman 1980a), ahead of a multi-million dollar work-stoppage. He also directed the excavation of a deeply buried (beneath 12 feet of hardpan, or "caliche") "early man" San Dieguito site in the California desert, dating to between 5,000 and 7,000 years before present (Grossman and Frederickson 1977). Likewise, in the Northeast, he planned and directed the discovery and excavation of the original shoreline block of the 17th Century Dutch West India Company in Lower Manhattan (Grossman 1985, 2011). Buried and preserved under 8 - 12 feet of urban rubble, the excavation revealed the foundations and cobble floors of the colony's first warehouse, yellow brick structures and early 17th century double-barrel cisterns, each filled with dateable cultural and environmental evidence. In total, ca. 40,000 early Dutch, British and Native American artifacts were conserved and computerized and are now housed in the NY State Museum in Albany. 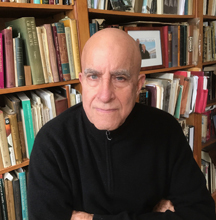 Dr. Grossman directed the first major U.S. Government-mandated archaeological investigations of contaminated Superfund sites in North America (Grossman 1991a,b,c&d, 1994a&b,1996a, 2008b). Between 1989 and 1995, he directed HAZMAT excavation of a secret, cadmium-laced, Civil War-era “Super Gun” testing facility at the Superfund site of West Point Foundry in Cold Spring, New York (Grossman 1991a, 1992a, 1993b, 1994a&b; 2008b). This multiphase and multiyear investigation led to: 1) to the discovery of the firing base, the pontil and the hoist tower for a 30,000 lb rifled cannon, which was buried under five feet of 19th century foundry ash, slag and cadmium; 2) the homes and exotic household and scientific artifacts brought by European iron workers at the foundry (Grossman et al. 1993b, 1994a & b); 3) a 4,000 year sequence of prehistoric cultures discovered buried intact in the path of a new entrance road into the Superfund clean-up area (Grossman et al., in press). The marine portion of this HAZMAT investigation scanned the shoreline of the Hudson River and East Foundry Cove, opposite West Point, with side-scan sonar and magnetometers to plot the location of submerged boats, barges and marine artifacts ahead of the cadmium dredging and cleanup operations (Grossman et al. 1992a; 1993b; Grossman 1994a & b). Trace element analysis of historic marine cores established the depth of Civil War sediments. Dr. Grossman's applied technology innovations in the HAZMAT program culminated in the archaeological and historical investigation of the highly sensitive Superfund site of the WWI-era US Radium Corporation and its associated radium deposits, in central New Jersey (Grossman et al. 1991d; 1996a). Between 2002 and 2004, Dr. Grossman first developed a high speed GIS-based mitigation plan, through redesign and data recovery, to minimize construction impacts a flood-damaged Civil War-era foundry in the highlands of New Jersey (Grossman 2002, 2004, 2008b). Once his plan was accepted (Grossman 2002), he then directed the deep winter deployment in sub-freezing conditions of a new generation of high-resolution true-color terrestrial Lidar. This scanning technology produced mm-precise 3D color virtual-reality models of the historic dam and foundry complex (Grossman 2004; 2008b). Much of his recent work has involved the development of paleo-environmental reconstructions, integrating the changing botanical history with the archaeological record, and GIS-based terrain modeling (Grossman 2008a & b; 2011, Figure 8.1; Grossman et al. 2015, Figure 9). (See profiles of Dr. Grossman in the December 2016 online issue of GeoDataPoint magazine, both as an archaeologist and as a specialist in applied geospatial technology). His expertise was called upon to negotiate conflict resolution over the belated discovery and respectful treatment of Native American remains, in the path of "discoveries-under-construction". One such large-scale mitigation effort resulted in the excavation of a 3,500 year sequence of pre-Iroquois settlements and the 18th century bastion of historic Fort Edward in the upper Hudson River of New York (Grossman et al. 2015). Dr. Grossman has served as a scientific advisor to municipal, state, national and international agencies. He served as a UNESCO scientist to the Peruvian Institute of Culture and policy advisor to the U.S. Congressional Office of Technology Assessment. He has been invited to speak before the United Nations, to participate in the State Department People to People exchange program with Russia, and to subsequently return to present a scientific paper before the first post-Soviet archaeology conference held in Stavropol, southern Russia. More recently, he was invited to speak in Amsterdam on his discovery of the Dutch West India Company block beneath lower Manhattan and to help celebrate the 400th anniversary of the arrival of Henry Hudson in New Amsterdam. Conducted as part of the Dutch Visiting Scholars program, the prestigious exchange was sponsored by the Dutch National AWAD (Atlantic World and the Dutch) and Netherlands Institute of Heritage. Dr. Grossman has published extensively in peer-reviewed journals in his field. He also served as the editor and author of New World Archaeology for the Encyclopedia Britannica for sixteen years. (Many of his published annual Britannica reviews now available for download via attached list of publications). In recognition of his ongoing research, he was recently invited to present a scientific paper before the 2017 Society of American Archaeology (SAA) annual meeting, in Vancouver, Canada. This symposium presented the discovery, age and metallurgical makeup of early 7th-8th Century AD bronze artifacts from the Andean site of Waywaka. This is the same Peruvian site where the earlier Initial Period ceramics, gold foil and gold worker's toolkit were discovered. Finally, Dr. Grossman has recently been invited to speak at many world-renowned venues both in the United States and overseas. Over the past two years, these include the Columbia University Lamont-Doherty Earth Observatory (LDEO) seminar series, the Fellows Lecture Series at the New York Botanical Garden, and the Explorers Club of New York.